The spacecraft is launching aboard a Northrop Grumman Pegasus XL rocket from Cape Canaveral Air Force Station (CCAFS) in Florida. 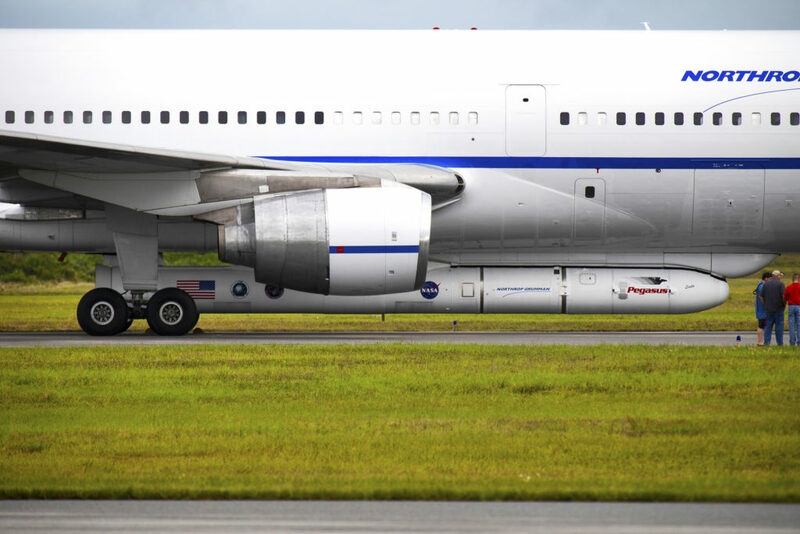 The L-1011 Stargazer carrying the Pegasus rocket arrived at CCAFS last Friday and will remain in Florida to conduct the testing. The spacecraft remains in good health. The pre-launch mission briefing originally scheduled for Wednesday, Oct. 24, also has been postponed and will be rescheduled at a later date. In Building 1555 at Vandenberg Air Force Base in California, preflight processing nears completion for a Northrup Grumman Pegasus XL rocket on Oct. 8, 2018. Enclosed in the rocket’s payload fairing is NASA’s Ionospheric Connection Explorer, or ICON, satellite. 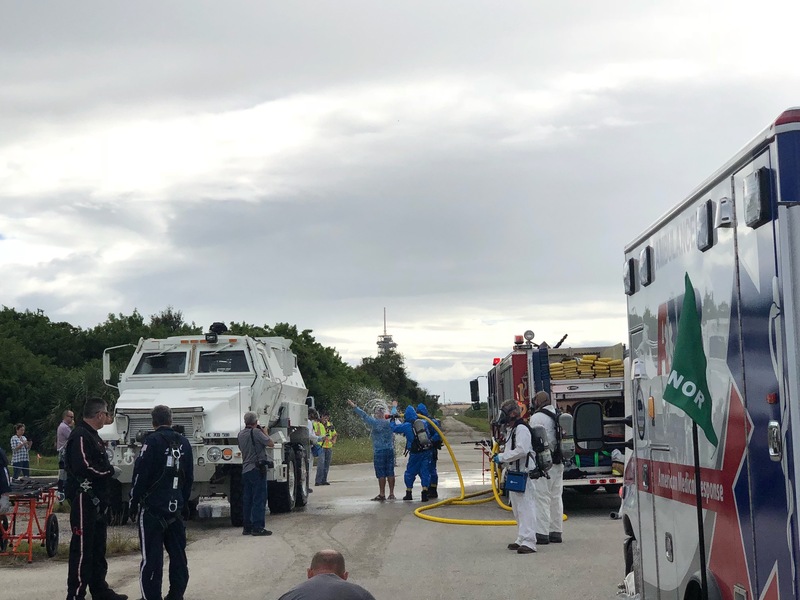 The Northrup Grumman L-1011 Stargazer aircraft arrived Oct. 19, 2018 at the Skid Strip at Cape Canaveral Air Force Station in Florida following a cross-country trip from Vandenberg Air Force Base in California. Attached beneath the Stargazer is the company’s Pegasus XL rocket with NASA’s Ionospheric Connection Explorer, or ICON, satellite on board. ICON will study the ionosphere, where terrestrial weather meets space weather. This dynamic zone high in Earth’s atmosphere can be a source of great beauty such as the aurora, but can also be disruptive to radio communications and satellites and astronaut health. ICON will help determine the physical processes at play in this “frontier of space,” thus paving the way for mitigating their effects on our technology, communications systems and society. ICON was processed and prepared for its mission at Vandenberg. 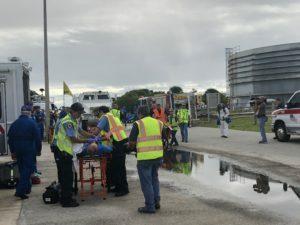 The satellite is scheduled for its airborne launch aboard the Pegasus XL rocket after takeoff from the Skid Strip during a 90-minute launch window opening at 4:00 a.m. EDT on Oct. 26. Guest speaker Gabriel Alsenas discusses ocean renewable energy sources with NASA Kennedy Space Center employees in the spaceport’s Mission Briefing Room on Oct. 11, 2018. 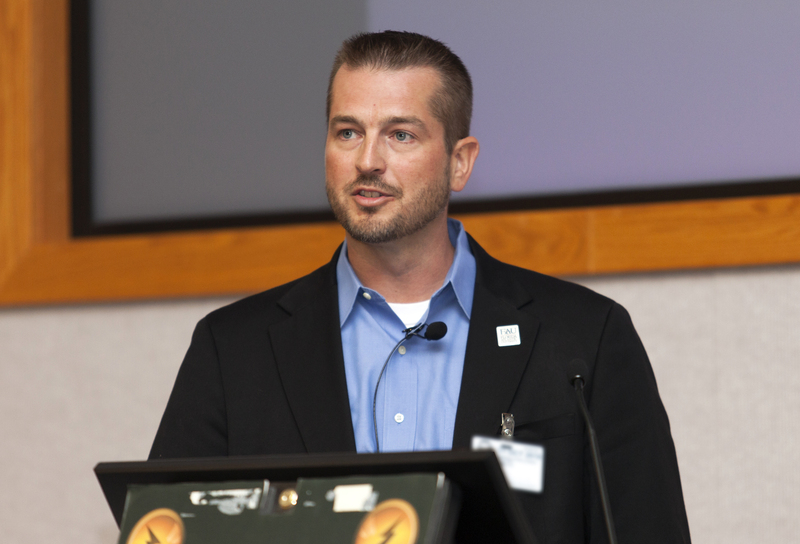 Alsenas is director of the Southeast National Marine Renewable Energy Center at Florida Atlantic University in Boca Raton. Although Kennedy Space Center is located just within the shores of the Atlantic Ocean on Florida’s east coast, the spaceport workforce generally focuses its attentions on space hardware – so a “lunch and learn” event highlighting methods to harness the ocean’s energy served as a learning opportunity for employees. Guest speaker Gabriel Alsenas is director of the Southeast National Marine Renewable Energy Center at Florida Atlantic University in Boca Raton. He joined employees in Kennedy’s Mission Briefing Room on Thursday, Oct. 11, 2018, to detail the amount of untapped power in the world’s oceans. Energy from ocean currents off the U.S. east coast could power 15 million American homes – more than all the households in Florida, South Carolina and North Carolina combined. Wave and tidal energy also are potential power sources. The “lunch and learn” event is one of two scheduled during October in conjunction with Energy Awareness Month. The program aims to recognize the importance of energy management for our national prosperity, security and environmental sustainability. 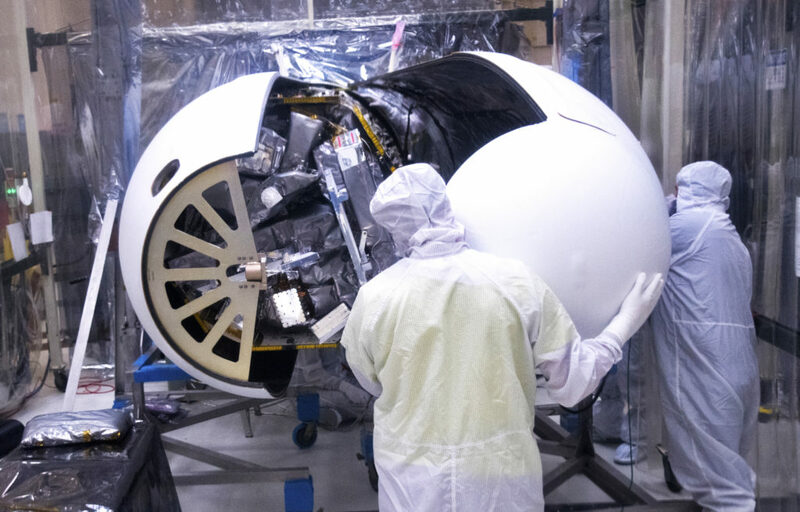 On Oct. 4, 2018, technicians at Vandenberg Air Force Base in California, installed the payload fairing on the Northrop Grumman Pegasus XL rocket that will launch NASA’s Ionospheric Connection Explorer, or ICON, satellite. ICON is being prepared for launch on a Pegasus XL rocket which will be carried aloft by Northrop Grumman’s L-1011 Stargazer aircraft. 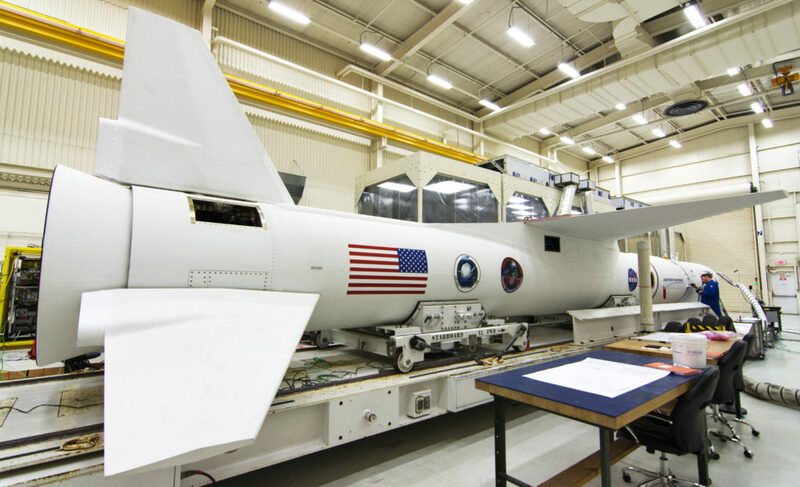 The Stargazer with the Pegasus XL attached is scheduled to fly from Vandenberg, where it was processed, to the Skid Strip at Cape Canaveral Air Force Station in Florida on Oct. 19, 2018. Launch of the Pegasus XL rocket is scheduled for Oct. 26, 2018. The Stargazer jet will take off from the Skid Strip at the Cape. About 50 miles offshore of Daytona Beach, Florida, the Pegasus XL will be dropped with the engine igniting five seconds later boosting ICON to orbit. The Stargazer is a mobile launch platform and the only one of its kind in the world. Click here to see the latest photos of the ICON spacecraft and Pegasus XL rocket as they are prepared for launch. This illustration depicts NASA’s Ionospheric Connection Explorer, or ICON, satellite that will study the frontier of space, the dynamic zone high in the atmosphere where terrestrial weather from below meets space weather from above. NASA and Northrop Grumman managers have completed the Flight Readiness Review ensuring preparations are on track for the launch of the agency’s Ionospheric Connection Explorer, or ICON, satellite. The meeting took place at Vandenberg Air Force Base in California where the spacecraft is being processed. ICON is scheduled to be launched Oct. 26, 2018, by a Northrop Grumman Pegasus XL rocket carried aloft by the company’s L-1011 Stargazer aircraft. Recent checkouts of the ICON satellite have been completed and the payload fairing was installed with that process completed on Oct. 6. The Stargazer arrived at Vandenberg the day before. Plans call for the Pegasus XL rocket with ICON aboard to soon be attached to the aircraft for the flight to Cape Canaveral Air Force Station in Florida. 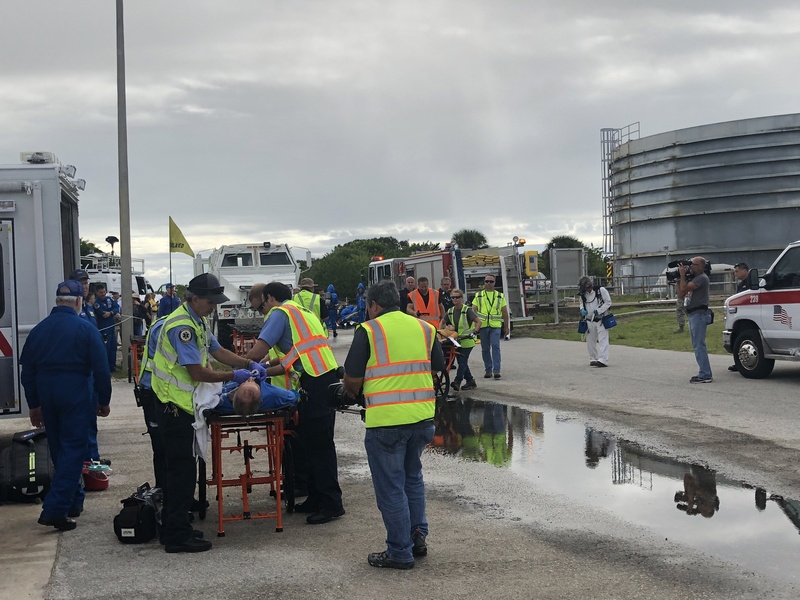 On launch day, the Stargazer will take off from the Cape’s Skid Strip runway with the Pegasus XL rocket to be launched over the Atlantic Ocean about 50 miles east of Daytona Beach, Florida. This L-1011 aircraft is a mobile launch platform and the only one of its kind in the world. 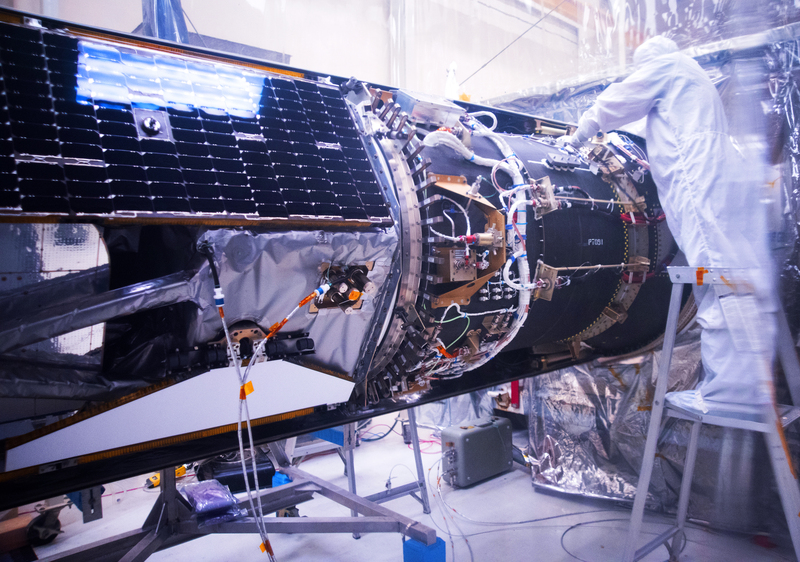 NASA and Northrop Grumman managers are holding a Flight Readiness Review to ensure preparations are continuing on track for the launch of the agency’s Ionospheric Connection Explorer, or ICON, satellite. The meeting is taking place at Vandenberg Air Force Base in California where the spacecraft is being processed. 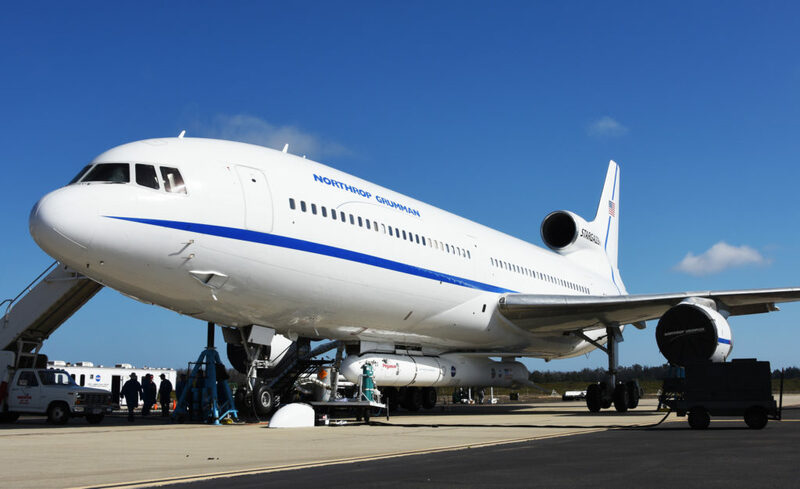 ICON is scheduled to be launched Oct. 26, 2018, by a Northrop Grumman Pegasus XL rocket carried aloft by the company’s L-1011 Stargazer aircraft.